As we get ready to enter the second half of the year it is time for me to compile my favorite albums of the year so far. The only rule is it is a 2011 release. It’s possible some of the albums were released last year outside of the U.S. but since the music industry is still backwards when it comes to distribution I only worry about what I can actually get my hands on. It has been a great year of music so far. My music collection continues to grow at fantastic rates. I continue to do all my writing while listening to my favorite tunes. I hope you like the list and maybe find a gem or two you haven’t listened to. As always I have limited the list to my ten favorite in no particular order. I have always been a big fan of The Kills and was worried I would not be getting an album from them because of Alison Mosshart’s work with Dead Weather. I am glad they made this album. Probably my favorite by them. Stand out tracks include Pots and Pans and Heart is a Beating Drum. All I can really say is wow! A second album which is actually better than the first (which was a damn good album). Adele has ramped it up a notch here. Every song on the album is a gem and I can listen to it over and over. Stand out tracks include Rolling in the Deep and Rumour Has It. Continuing with the great second album theme. I loved this band’s first record but they are kind of quirky and this sometimes leads to a disappointing second taste. Not the case here. I think I played this record non-stop the first few weeks after it came out. Nils Edenloff has a wonderfully, unique voice. I am a sucker for unusual vocals. Stand out tracks include Stamp and Muscle Relaxants. Again sucker for beautiful different vocals. Mother Mother is a symphony of different. Multiple lead singers. Quirky lyrics and great rhythms. Not nearly enough people are listening to this band. Stand out tracks include Problems and Baby Don’t Dance. I love this album so much. Not usually a real big fan of heavy electronics usage in music but this album won me over early. I love listening to Claire L. Evans sing. I can’t wait to see them live because I hear they are spectacular. This album has a science fiction vibe which also appeals to the geek in me. Stand out tracks include Shangri-La and Dystopia (The Earth Is On Fire). This band is quickly turning into a buy everything they do because so far everything has been fantastic. 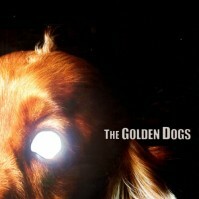 This seems to be my year for interesting vocals and harmonies and The Golden Dogs fit right in. Not a throw away song on this album (a universal theme of this list). Stand out tracks include Dear Francis and Darkroom. Joy Williams and John Paul White are an incredible duet. This album is blissful. Acoustic folk music has never sounded so good. An album made up of acoustics and voices. Nothing they do overpowers you except the urge to hit the repeat button when the album is done. I am not a giant fan of folk and this album has its share of country roots. So for me to love it as much as I do is a testament to how great it is. Stand out tracks include Dance Me to the End of Love and Barton Hollow. I think I may be sick because really this album is dangerously close to country also. Although, I think it is closer to alt-country then anything. It isn’t that I don’t like country but I am not a big fan of modern country music. A little too pop for me. This one strokes my alternative sensibilities. Stand out tracks include Little Lie and Little Red Boots. I almost feel bad putting this album on the list. If you live in the U.S. you are getting screwed by stupid distribution rules because this album is not available here. In fact, their first album has still not been released here and I am telling you it is one of my favorite albums released in the last decade. You can buy it in Canada, but no love for the United States. Unless you do what I did which is import it. It is completely worth it. Stand out tracks include Hide and Seek and Five Minutes. I will go ahead and give a warning here. This album is wrong in so many ways. A comedy folk band, really. This album is inappropriate and clever. Chalk full of funny songs with lyrics which will often hit way too close to home. Stand out tracks include You, Me, and Steve, One Night Stand, and This Party Took a Turn for the Douche.